How will this conversion spreadsheet help me and my business? 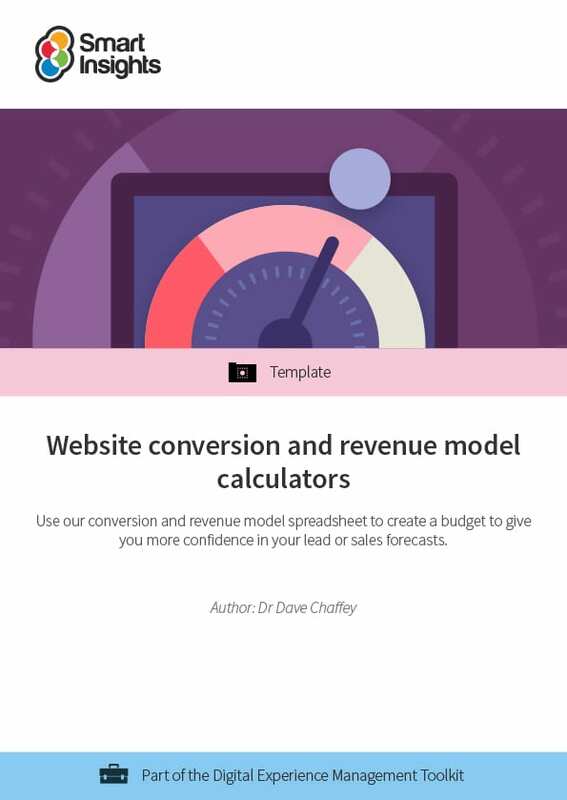 This spreadsheet includes a worksheet for startup businesses to develop their revenue model based on Cost-per-click (CPC, cost-per-thousand (CPM) or affiliate advertising models and it can be applied to Ecommerce, B2B lead generation and media sites. It also has three other worksheets for calculating the increase in leads and sales you can get from investing in conversion rate optimization (AB testing) and other digital initiatives. How is the spreadsheet structured? Dave is co-founder and content director of Smart Insights. 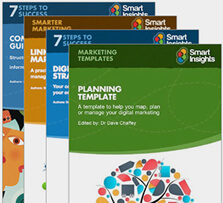 He is editor of the 100 templates, ebooks and courses in the digital marketing resource library created by our team of 25+ Digital Marketing experts. Our resources are used by our premium members in more than 100 countries to Plan, Manage and Optimize their digital marketing.